Dreams are god’s way of showing what we can achieve. 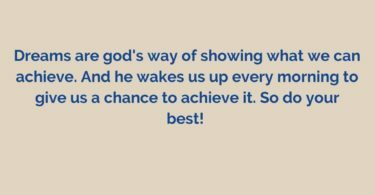 And he wakes us up every morning to give us a chance to achieve it. So do your best! Dream’s a memory that unites fantasy and reality. Hope you will have the sweetest dream tonight. Good Night! 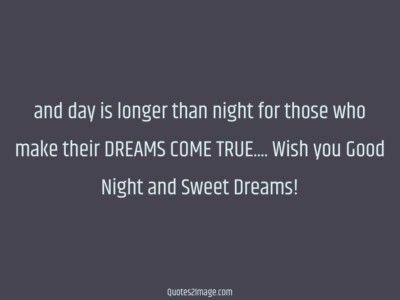 and day is longer than night for those who make their DREAMS COME TRUE…. Wish you Good Night and Sweet Dreams! 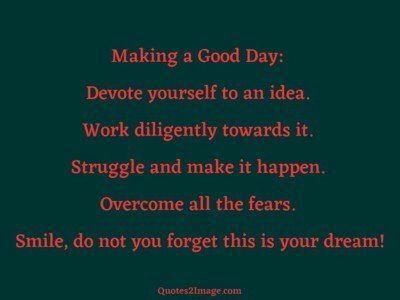 Making a Good Day: Devote yourself to an idea. Work diligently towards it. Struggle and make it happen. Overcome all the fears. Smile, do not you forget this is your dream! 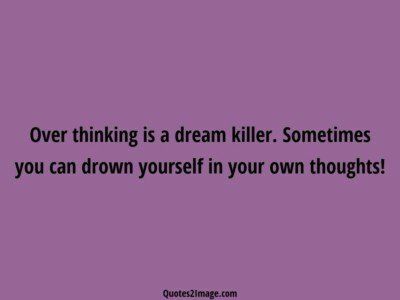 Over thinking is a dream killer. Sometimes you can drown yourself in your own thoughts! 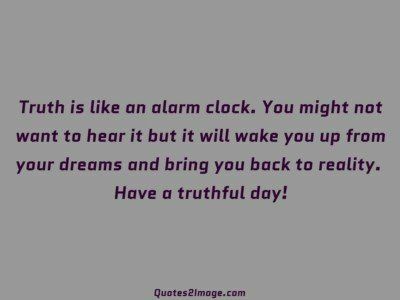 Truth is like an alarm clock. You might not want to hear it but it will wake you up from your dreams and bring you back to reality. Have a truthful day!